The essential oil of ylang-ylang is extracted from the fresh flowers of the ylang-ylang tree, which bears the scientific name Cananga Odorata and is commonly found in the rain forests of certain Asian and South Pacific Islands like Indonesia, Philippines, Java, Sumatra, Comoro and Polynesia. Best known as the essential oil of beauty. 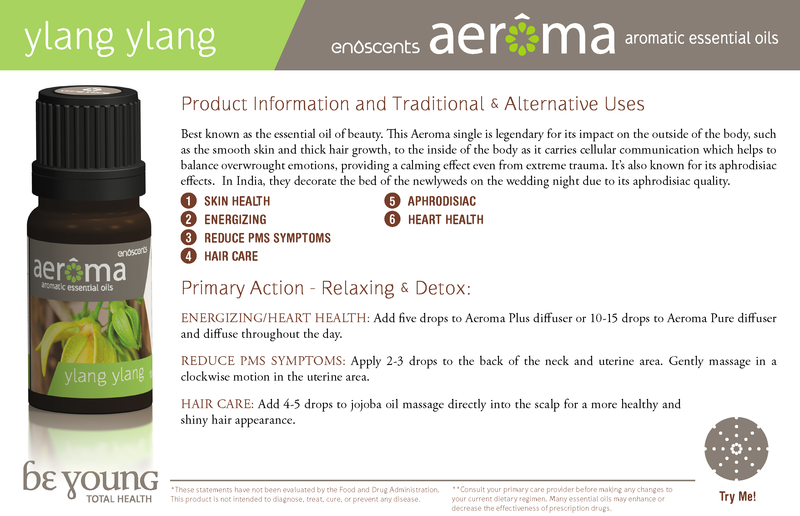 This Aeroma single is legendary for its impact on the outside of the body, such as the smooth skin and thick hair growth, to the inside of the body as it carries cellular communication which helps to balance overwrought emotions, providing a calming effect even from extreme trauma. It’s also known for its aphrodisiac effects. In India, they decorate the bed of the newlyweds on the wedding night due to its aphrodisiac quality.